Brendan Nevin, CEO of AA Ireland, with Ciaran McMahon, managing director of Ford Ireland. AA Ireland has invested almost €500,000 in new vans to upgrade its existing breakdown assistance fleet from Cork-based company Ford Ireland. 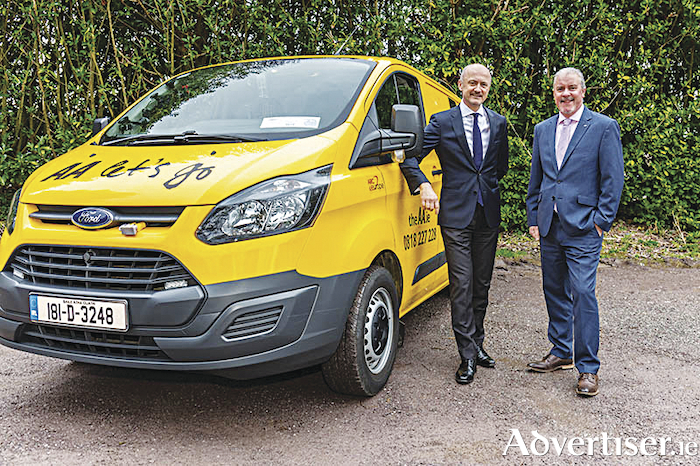 The investment in AA Rescue, which will see a number of custom Transit vans and Connect vans added to the AA fleet, marks the latest in a series of ventures undertaken by AA Ireland to further improve its service. In 2017, AA Ireland invested a total of €11m in a number of areas across the business, including a significant technology upgrade. AA commercial director John Farrell says the move will allow the compeny to continue offering a "best-in-class service" to its members. "It further underscores our commitment to both growing our business and supporting other companies operating across Ireland. The summer period is always a busy one on the roads and no-one wants to experience a breakdown while they’re driving with their family," he says.